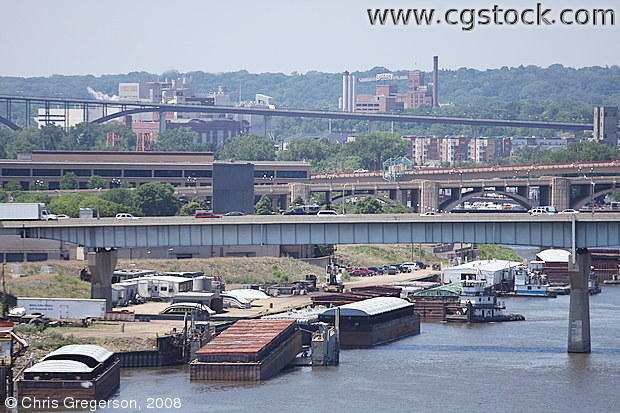 The barges on the left are parked on the Mississippi River across from downtown Minneapolis. The Wabasha bridge and high-bridge are in the background. The Schmidt Brewery is in the far background.